At Banasiak & Nettune Orthodontic Associates, we know good dental health requires only a few minutes a day. We thought we’d provide some practical advice on how to improve your or your child’s smile between your adjustment visits with Dr. Roger Nettune and Dr. Kenneth Banasiak. Start by brushing your teeth twice a day. Proper brushing techniques are an essential part of maintaining good oral health during your orthodontic treatment, as well as preventing gum disease. More care and time are needed to adequately brush your teeth when you are wearing braces. Brushing daily helps remove decay-causing plaque from tooth surfaces. Please consult Dr. Nettune or Dr. Banasiak if you would like us to review brushing techniques with you or your child. 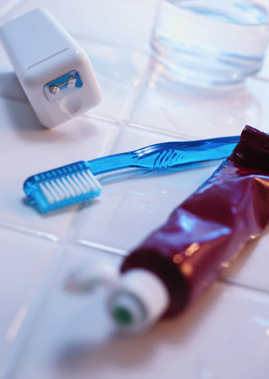 The use of a mechanical toothbrush such as a Sonicare or Oral B can aid in removing plaque around braces. Flossing daily will also prevent plaque to build up between the teeth and prevent stains between your teeth. Research has shown the bacteria of gum disease has been linked to coronary artery disease, stroke, diabetes and memory loss. Lastly, we encourage you to throw away old toothbrushes and replace them every 2 or 3 months, or after an illness. We hope this helps! If you have any further questions about any of these tips, please contact our office or ask your general dentist during your next scheduled visit! Or, ask us on Facebook!